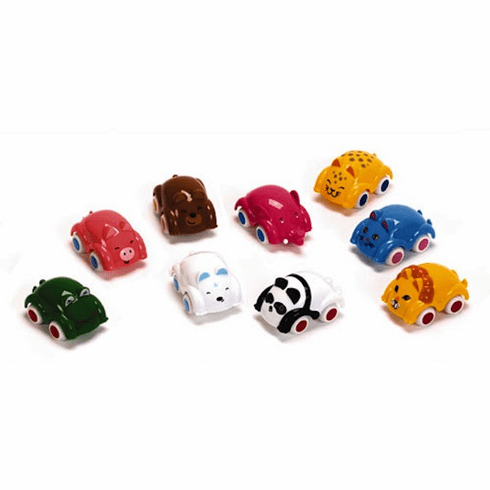 An assortment of small, fun animal cars in 9 styles including: frog, dog, elephant, panda, bear, tiger, cat, lion and pig. Price is per car. Styles and colors may change and are subject to availability.